Welcome to my Akaso Brave 6 review! This new action camera from Akaso costs less than a $100 and it is the successor of the previous Brave 4 model. Akaso is one of the leaders in the budget action camera market. And if you read my other reviews on the Akasa v50 Elite and v50 Pro you will notice that I liked these two cameras as they perform well compared to their price. I always think of GoPro when talking about action cameras since they are the number one in that market, but unfortunately not everyone can afford a GoPro. That’s the reason companies like Akaso are trying to dominate the market with cheap cameras so that everyone can afford it. 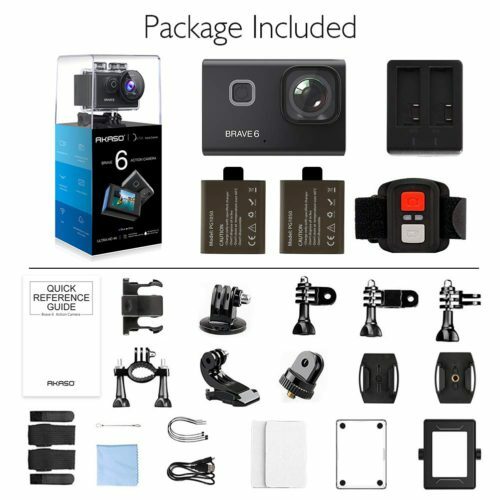 In this review, I will cover as much information as possible on this Brave 6 and will take you through every detail like un-boxing, design, features, resolutions and video/photo quality. Akaso claims that the Brave 6 can shoot 4K at 24 frames per second. Do you think it will be real or interpolated 4K? Field of View: 170, 140, 110, 70 degrees. The Akaso Brave 6 comes in a waterproof case (safe for down to 30 meters). I don’t scuba dive so haven’t tested if the case is safe for underwater use. 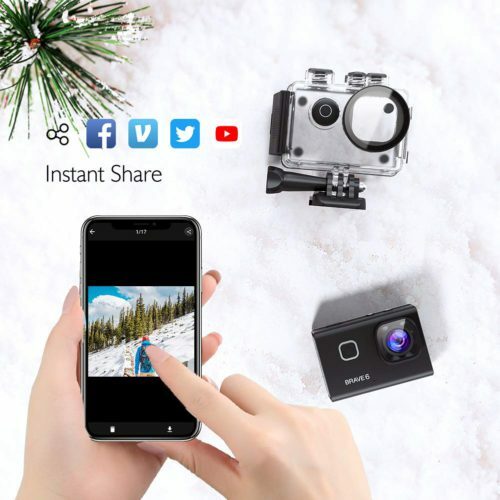 Unlike some other similar quality action cameras, the Brave 6 comes with a 2.4Ghz remote control wrist band that uses bluetooth to connect to the camera. It’s nice to include a remote as you don’t have to buy one separately, and it would come at use for starting/stopping the videos and taking shots remotely. There are two 3.7V 1050mAh batteries, each battery gives around 60 minutes of continuous video recording. One battery is not enough if you’re planning to use the camera for more than an hour. Akaso also included a protective backdoor, a small bracket for tripods and a whole bunch of accessories like mounts, clips, tethers and a USB cable for charging. So most of the accessories are included in the box which makes it a plus as there won’t be any need to pay money for extra stuff. These are kind of the same accessories you now find with most of the similar range action cameras. The Brave 6 have the same body design as the other action cameras however the difference comes with buttons, I noticed that they have weird placements, they don’t look very convenient. On the front, there is the power button and the Brave 6 logo. The power button has two functions, to turn the camera on and off but also to switch between modes like video, photo and settings. At the back, there is a 2inch LCD screen and it is not a touchscreen. The menu can be controlled by the buttons at the top of the camera. 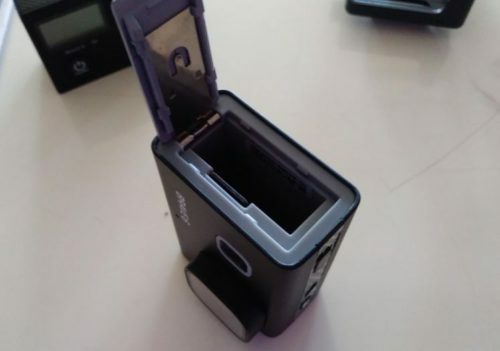 At the right side, there is a door for the battery compartment and the MicroSD card. The battery is 1050mAh and the microSD card can support cards up to 64GB. At the left side, there is a small door covering the Micro USB and Micro HDMI ports. A bit of unusual placement, since usually the USB, HDMI and SD card ports are all in the same place. There is no option for an external microphone in here. At the top, there is the shutter button and the up and down buttons which are usually at the side of the camera. The shutter button can also be used as an OK/Select button when you want to select an option in the Settings menu. And the up/down buttons are to navigate through the menu. Nothing at the bottom. Not even a tripod mount port. You would need to use the tripod bracket that comes in the box. As I stated above in the specifications, Akaso claims that the Brave 6 can shoot native 4K at 24 frames per second. 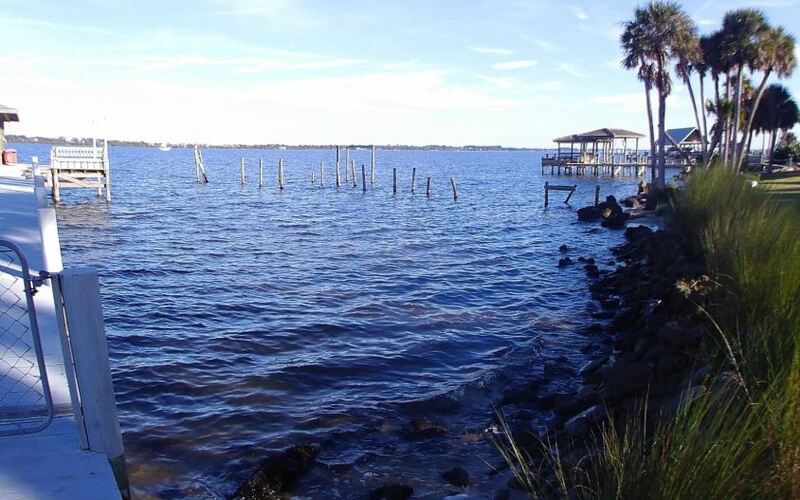 The image is processed by a Novatek chipset and it supports Electronic Image Stabilization for all video resolutions. 4K is the highest resolution supported by the camera. Then it goes down from there to 2K at 30fps, 1080p at 60fps and 30fps. Unfortunately, the 4K on the Brave 6 is not real 4K but interpolated and I will tell you why. The 4K here has a resolution of 2880 x 2160 pixels. Whereas the real 4K resolution should be 3840 x 2160 pixels. So you have around 940 pixels less on the horizontal axis. I think the problem comes from the processor which is an old model and doesn’t support these resolutions. I noticed that the video bit rates on this camera are on the low side. For example, the bit rate on the 1440p resolution is only at 20 Megabits per second and the 1080p resolution at 30fps is at 21 Megabits per second. The 1080p at 60 fps, the bit rate goes down drastically to around 12 Megabits per second! On a GoPro Hero 6 Black, the same video resolutions has around 33 Megabits per second of bitrate. 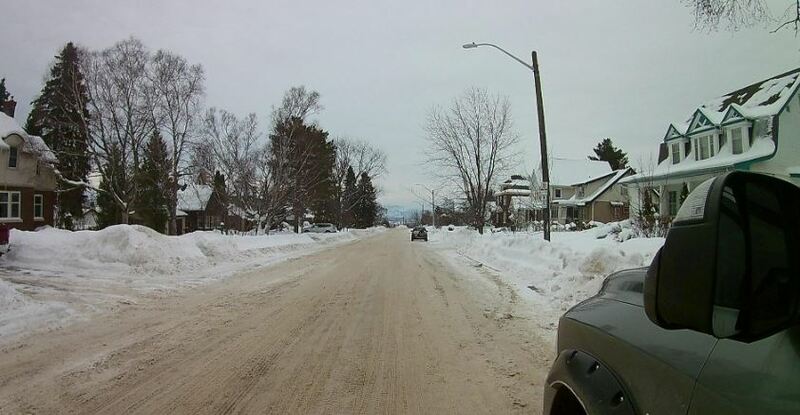 That’s a huge gap right here and it makes shooting videos higher than 1080p useless as the quality won’t change much. You always have to look at the bit rates when purchasing any camera and not only the supported resolutions as these two go side by side in shaping the video quality. The Panasonic sensor on the Brave 6 is not that great either. It’s a small sensor and it doesn’t allow enough light to go in which can result in noisy and grainy footage especially during low light shooting. As I stated earlier, the combination of sensor, chipset and processor has affected the video quality of this camera. The low bitrates and the small sensor can only limit the capacity of this camera which makes the video quality average. The 4K and the 1440p videos look literally the same because of the small sensor. Also the 60fps are not real as well, but instead the camera shoots two frames at 30fps. The best video quality is at 1080p 30fps, do not bother with the 60fps since it’s not real 60 fps. The Electronic Image Stabilization is one of things I liked in this camera. And it works on all video resolutions which is good but the stabilization itself can be better compared to other Akaso action cams like the v50 Elite. The videos always look overexposed when there is too much light and underexposed indoors and in low-light situations. I blame that on the small Panasonic sensor. The highlights are also not handled very well. Low-light video shooting is not very recommended as you will get a lot of dark shots. It’s even noticeable wen shooting indoors. You might have seen earlier that Akaso claims that the image sensor provides 20 megapixels photos. However, the Panasonic sensor on this camera is only 14 megapixels. But surprisingly the photo quality on the Brave 6 is good. There were no distortions and the colors seemed ok, not as vivid as a GoPro but this camera is four times cheaper than a GoPro. The problem is there is no way to control the exposure from the camera, making it hard to get high quality still shots without exposure issues. Now jumping to the Settings and features of the Brave 6. Voice Control, WiFi, Auto Power off, Screen Save, Special effects, Diving mode, Angle, Language, Beep, Voice Prompt, OSD, Driving Mode, White Balance, ISO, Exposure Value, Scene, Frequency, Date & Time, Format, Default Settings and Version. This one is useful for underwater shooting and especially scuba divers. This mode can compensate for the lack of red light you get underwater so there won’t be a need for a red filter. If you’re thinking of using the Brave 6 as a dash cam then this feature will help. Once enabled and the camera is connected via USB cable to the car cigarette charger, the camera will turn on and start recording as soon as you start the engine. And it will stop recording and turn off as soon as you turn off you car. Then you get a Video settings menu, where you can specify the video resolution you like starting from the 4K 24fps down until 720p at 30fps. 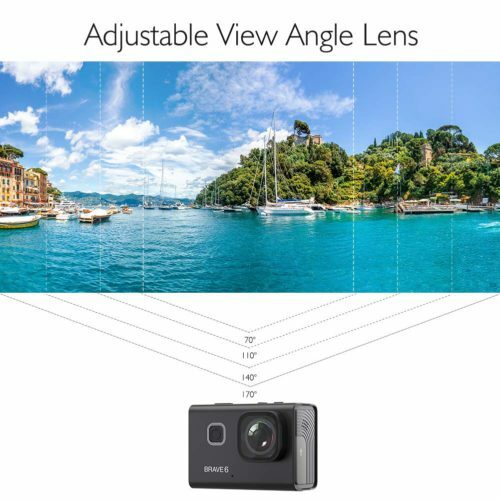 Under the resolutions, you have the Image Stabilization on and off option. 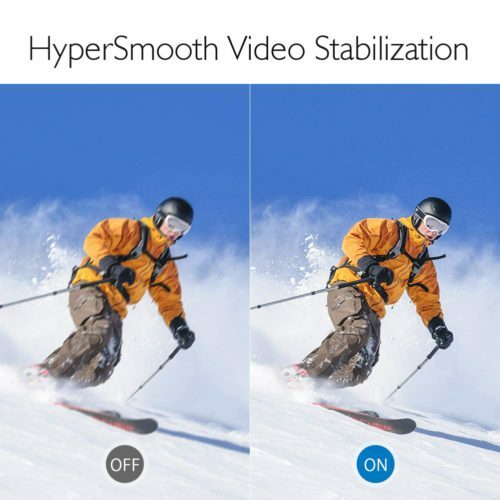 As stated earlier, the Image Stabilization supports all video resolutions. This feature is extremely useful as it will result in a smoother footage especially when it comes to shooting activities that involves fast motion like walking, running or doing extreme sports. Then we have Loop Recording, this is used for continuous recording and the newest video will replace the oldest video without any interaction from the user. There are three options for loop recording 3 Minutes, 5 Minutes and 10 Minutes . The next feature is Time-lapse Video. Intervals are 100ms / 200ms / 500ms / 1 Sec and 5 Seconds, 100 and 200ms are very short intervals so not sure what these are used for to be honest. WDR or Wide Dynamic Range is next on the settings menu, once turned on this setting will adjust the range of brightness to darkness that the camera will record. This feature is available for Video recording only and is useful for shooting scenes that have large bright regions and a dark foreground. When this feature is enabled, the camera will start recording immediately as soon as an object moves. This one is useful if the camera is used as a security camera. Moving to the audio quality of the Brave 6, I have to say that I wasn’t impressed at all. With the microphone positioned in the front next to the lens, the audio doesn’t sound as good at it should be. The audio recorded by this camera sounds a bit distorted and weird, it’s like you are talking from inside a glass room. As I mentioned earlier, this camera doesn’t support an external microphone so you are kind of stuck with this mic unless you use a separate audio recorder. 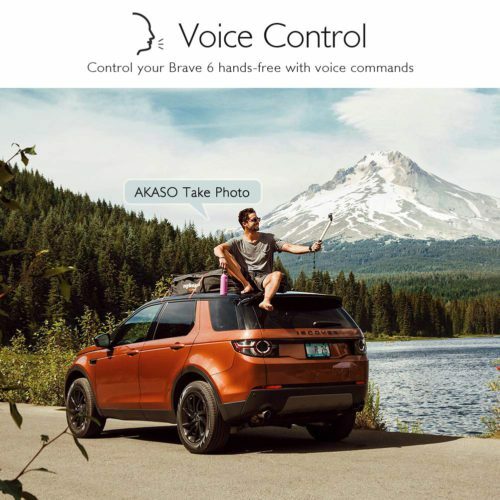 The Brave 6 can be connected to a smartphone using the Akaso DV app. This app can be downloaded from both the App store and the Play store. Once the app is downloaded, you need to turn the camera’s WiFi from the Camera settings menu. Then turn on the WiFi on the smartphone and connect to AKASO. Password is 1234567890. Through the app, you can control all the camera settings, change modes, video resolutions and check storage space. You can also shoot videos, take still shots and playback the recorded footage. The app also let’s you share your content directly to your social media channels. The Akaso DV app is a bit buggy and can freeze from time to time, hopefully a software update can be released soon to fix these issues. All in all, I found that the Akaso Brave 6 is not what I expected. The interpolated 4K video resolution and the slow bit rates made the resolutions above 1080p useless. The audio quality is not good and no external microphone can be used. I will have to admit though that shooting in 1080p at 30 frames per second is good especially when used with the image stabilization. I liked both the diving and driving modes and they can be useful for underwater shooting and using the Brave 6 as a dash cam. If you’re not picky when it comes to quality and you don’t need to shoot videos above 1080p then the Brave 6 can be an option. However, I would recommend getting the Akaso v50 Elite for a few more dollars. The Brave 6 is very cheap and comes at less than 90$. I hope you liked my Akaso Brave 6 review and found it useful.